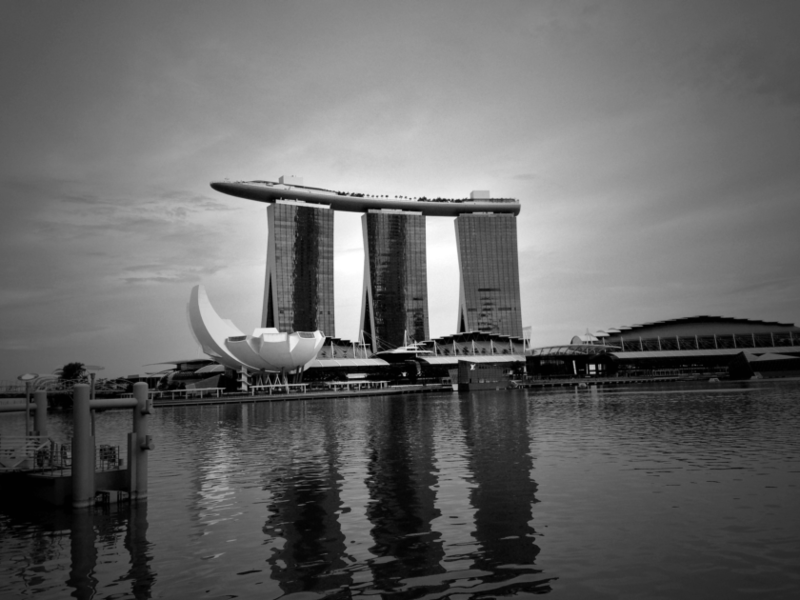 Over the last 50 years Singapore’s growth can only be described as monumental. In the 1960s, we had the same GDP as Nigeria. Today, Singapore has the 3rd highest GDP per capita in the world, overtaking the G10 nations and the other East Asian Tigers. In particular, a marked acceleration in growth can be seen from 2000. This magical growth was not by luck, it was the result of a deliberate, orchestrated, series of national masterplans. Strategic sector picking has moved us up the innovation ladder at supersonic speed. As an economist by training, every bone in my body shudders when I think about interventionist industrial policies. However, it seems to have worked for Singapore. Small country, maybe. Luck, possibly? I was recently looking for “infographics on education technology” when I came across this cute infographic. What’s remarkable (why I’m even bothering to make a remark about it), is the note at the bottom — “Possible learner’s world in 2015”. This infographic was not drawn in 2015 but in 2006. The infrastructure and the education initiatives from this 10 year IT and Innovation masterplan were so visionary, so forward looking, I could not believe my eyes. Mind-blowing amounts of investments were made to ensure that our education system and infrastructure can support the digital age our children are growing up in. Creating the infrastructure and providing access to abundant capital has been key to our success. It has created a networked nation and a talented workforce. This year, Singapore topped the global OECD PISA rankings for Math and Science for the first time, overtaking Shanghai. What’s known as “Singapore Math” is widely adopted across the US as well as in the UK. Our Math is 2 years ahead of the US (where we do algebra at Grade 5 instead of Grade 7). We have had it good for the last 50 years, But we’ve been told what to do – Be productive. Be smart. And by most part, we have followed. Like paid advertising, the voice of the government has been shouting so loud, it cannot be heard anymore. We’ve been bribed and spoilt with monetary incentives (utility bill gifts, tax rebates) that we don’t feel or appreciate it. And that’s the problem with focusing on money to make people happy. So what then for the next 50 years? I often hear that our challenges are productivity, population and identity. But let me suggest we reverse this and start with identity, because I think that is the hardest, but most critical, and must be addressed first. We need to define our identity, our core values, our culture: When defining a nation’s identity, what do we want to be known for? What are the 3 words that we say when people ask us what it means to be Singaporean? What are our core values? We need to define our core values for our children, our future, so that they can have a strong sense of what it means to be Singaporean. Should national values be closer to human or corporate values? When I die, I do not want to be remembered as smart (ok maybe a little), productive, or efficient, or rational or kiasu. I want to be remembered as kind and generous and HAPPY and making the people around me happy. How do we do this? I can only offer the lessons I’ve learnt from the leaders who have done it. “Apple was at best a benevolent autocracy. When Steve Jobs had an “Ah-Ha” moment, we ALL had an “Ah-Ha” moment. Like Apple, great countries can empower people to be creative and productive. We don’t have to fight the government to be creative and productive. I think we are nearly there. We have the most innovative government in the world. Yes, our government makes mistakes, and they change their minds, but that’s the art of innovation. To constantly mistakes and constantly change your mind. When a shareholder disagreed on Starbuck’s support of gay marriage, arguing that it would hurt its share price, Howard Schultz replied that he had delivered 38% shareholder returns. As the leader of his people, he would embrace diversity. For those that are not happy — “short Starbuck’s stocks and buy something else”. In a time where there is fracturing of trust, if we can show that we, as a nation, can respect our people as human beings, not as paychecks or line items on a balance sheet, this will build national identity and loyalty. Who would have thought it would be possible to build a billion dollar business around buying shoes online? Tony Hsieh had one singular objective — to make his customers and employees happy. And he believed that if he could achieve that, he would attract the right customers, the loyal customers, the money would follow. Tony would not use monetary incentives to win customers, he would rather invest in their loyalty. It’s not just online shoes, Wharton’s Business School’s research has also shown that companies with happy employees outperform the stock market year on year. In fact, Wharton recently appointed a Happiness Officer. His job? To make students happy. He reminds them that their problems (not dissimilar to ours) are champagne problems. The result, a happy experience at Wharton. 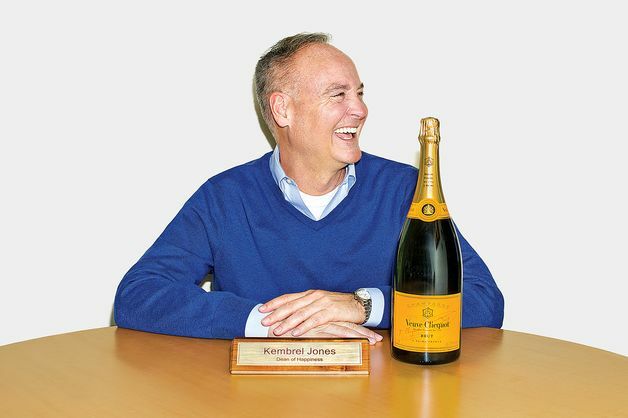 And with happier, more loyal students, Dean Kembrel Jones has increased alumni donations by more than 50%. We, the citizens of Singapore, pledge ourselves as one united people. Regardless of race, language, or religion, to build a democratic society, based on justice and equality, so as to achieve happiness, prosperity and progress for our nation. So what do we teach? It’s not all Math and Science. Yes, we must still top the OECD PISA rankings. And yes we must learn technology, which has worked for us in the past. But, technology is just an enabler. Essential, but just an enabler. And technology is open source and just a swipe and a remix away. If you only teach coding, you will create a nation of robots. We need to teach creative confidence. So that we can cultivate a community with creative class. We need to up our written and spoken skills. Tim Ferriss talks about how one of the few unifying factors that all the best entrepreneurs have is that they are all good communicators. And they only get better with practice. But unless you video yourself every time you speak, it’s hard to review yourself speaking. That’s why writing is so important. Writing and speaking are not our strengths. And it cannot be mastered with technology. It has to be practised. Swipe, reflect, write. Typography should be a compulsory component of education, as must graphic design. Steve Jobs spoke about how it was only after he dropped out of college and took a typography class (that has no practical value) that made Apple design so successful. An appreciation of beauty and elegance and form and factor must be taught because that cannot be mastered with technology. Let’s not forget music. Music is vibrations. And the human body is 70% water. That’s why music affects us so much. But great music is not made with technology. But most of all we need to learn art. And what is art? The only to teach the art of giving is to show by example. (work exchange, accommodation, moving expenses, tax equalisation paid for by the government). Singaporeans don’t know how good they have it because they have never lived overseas. We complain about SMRT: You can use your smartphone in the SMRT! Try doing that on the Tube in London. We complain about CPF: CPF pays higher than market interest rates. Singaporeans save 40% due to CPF. Try choosing a 401K (pension) plan in the US. Singaporeans don’t understand the elegance of our one-click e-Gov tax filing system. Try filing taxes in the US/UK. That is if you can even get through the 30 minute queue on the phone line with the HMRC (taxes). Singaporeans who are not frequent business travellers, do not appreciate how amazing and efficient our airport is. Try changing the type of car registration plate you have with the Department of Motor Vehicles (DMV) in the UK. Try getting a passport for your kids. We get reminded when our passports expire and can apply via post. Theses are not things that can be told or taught to Singaporeans. We have to be pushed away to live it and learn it. It’s a paradox, but the best companies don’t try to force their customers to their product — they’re willing to push them away, if it improves the quality of the customer experience. I’ve lived in Tokyo, London, New York. And that has only made me appreciate my country even more. And I came back. Let’s give free education for Singaporeans. Unconditionally. Not just those that get into Ivy League or Oxbridge Universities but to whoever gets into the best Universities around the world for any kind of talent. And let them choose what they do with it. They can make mistakes, they should make mistakes, but it is ok, because we have taught them to learn from it. With the right values, identity and loyalty, the ones who take it, whether they return or not, they will find a way to pay it back. It’s a waste if our students don’t go to these universities because they can’t afford it. And it is worst if people don’t have kids because of it. But before we give, we must protect our identity, which belongs to us, born and bred Singaporeans. Our education system has evolved and has gotten better. But as we keep our standards high and as we beat the world rankings in math, science and technology, let us also take the focus away from grades and IQ and celebrate talent and encourage our children to try everything and to pursue their passions. We can work a 4-hour workweek and have time for everything else because of technology. When we show venture capitalists cheap money but penalise local founders with $1,000 salary, we’re signalling that we trust outsiders more than we trust ourselves. Yes — make capital abundant but make them pay for it, with a minimum 44% guaranteed return. We’re already giving them access to our best infrastructure and our best talent. Attract the right VCs, and they will come. The ones that come to make meaning not money, the ones that will teach our youth the entrepreneurial skills we need. Trust is scarce. When we try to encourage productivity and innovation with grants, but hide what is eligible in a spreadsheet that is easily unhidden by anyone with basic excel skills, we are signalling that we do not trust Singaporeans. And naturally, we will attract abuse. Sadly, the people who need it, will not benefit from it. If we do not address this, then we are doomed to become a nation of followers, run by foreign talent. We are far too evolved to be efficient. We have already leapfrogged the cheap labour curve with technology. Let’s be effective! But effective means action. And we need passion for action. If all we are, is competent and obedient, then there is no future for us. We must protect our identity, and know what we stand for. And entrenched in our values, we must give, openly. Finally, don’t let the bozos get you down. We are already the most innovative, richest, smartest country in the world. We have everything. Let’s just give. And the rest, the economy, the productivity, the population will follow. We are Disneyland, without the death sentence. And why do I know this? Simple! A wealth of research on Why Happiness Matters can be found in World Happiness Report 2015 reflecting new worldwide demand for more attention to happiness as a criteria for government policy. This post is written for the biggest influencers in my life, to Bain, for teaching me that there is nothing wrong with being passionate and the meaning of true north,and most of all, my undying gratitude, to my parents, who have taught me the beauty of the unconditional gift.